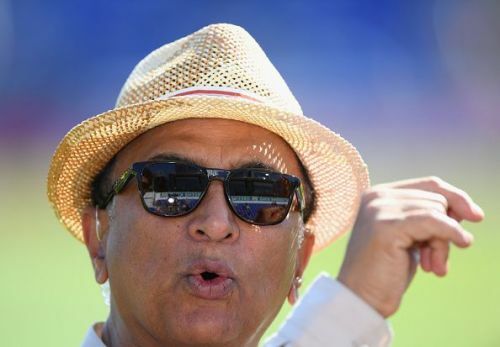 Former Indian opener turned cricket expert Sunil Gavaskar predicted the finalists of the upcoming ICC World Cup 2019 yesterday at the India Today Conclave 2019. Gavaskar, along with Australian legends Matthew Hayden and Michael Clarke, was present at the event where all the 3 experts chose their finalists for the mega-event. The ICC Cricket World Cup 2019 is under 3 months away from today and a lot of cricket experts had earlier chosen their favorites for the multi-national tournament. Two days ago, AB de Villiers picked India, Australia, Pakistan, England, and South Africa as the top contenders of the World Cup trophy. And yesterday, Sunil Gavaskar, Matthew Hayden, and Michael Clarke also revealed their choices for the 2019 World Cup. “He has got a bowling attack which can take wickets in any kind of conditions. 390 is not going to happen with this Indian bowling attack. All-round, the team that has got, is the team that is being moulded by MSK Prasad and his co-selectors,” he added. England and India are currently ranked at no.1 and no.2 positions respectively in the ICC ODI rankings. While, India have won 2 World Cups thus far, the hosts of the upcoming World Cup, England are yet to lift the trophy even once. Hayden and Clarke added defending champions Australia as the third favorite for the ICC World Cup 2019. Looking at the both the teams' recent form, a lot of experts have picked India and England as the favorites to lift the World Cup at Lord's however, only time will tell which team prevails when it matters the most.